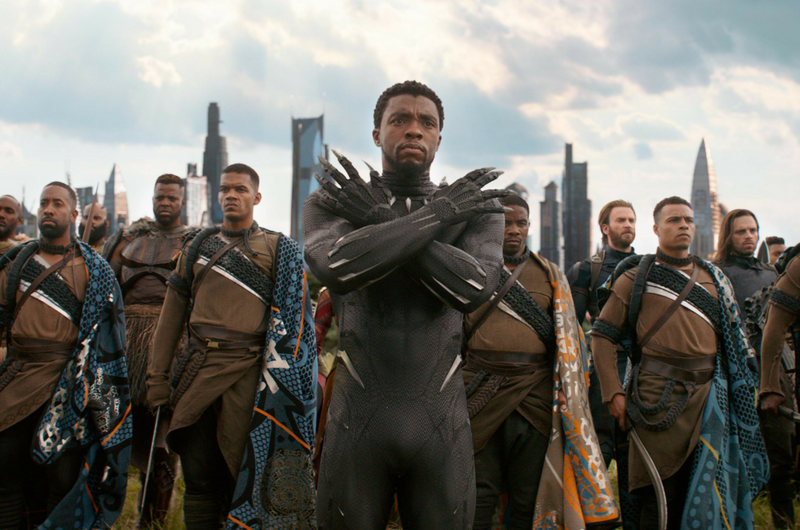 The 'Black Panther' fever is far from being over, particularly in Twitterverse. The Marvel film is not only a box office hit (having earned more than USD1.1 billion worldwide), it has also broken a Twitter record that wasn't easy to beat. 'Black Panther' is now officially the most tweeted-about movie in Twitter history with more than 35 million tweets, and counting! The people of Wakanda successfully kicked the battle of the galaxies, 'Star Wars: The Force Awakens' to second place and 'Star Wars: The Last Jedi' remains the film with the third-most tweets. If you look through the tweets related to the movie, some of the most used hashtags include #BlackPanther, #Wakanda and #WakandaForever. Why do we feel like these are some of the phrases we've been mentioning in real life in the past few weeks as well? The most popular characters that are being talked about on Twitter are the King of Wakanda himself, Black Panther a.k.a. King T'Challa, the villain that we can't seem to hate, Erik Killmonger (hi, Michael B. Jordan) and the spunky princess, Shuri. Following the undisputed success of 'Black Panther', a sequel is practically a no-brainer. And we're happy to know that Marvel has confirmed this as well! While we wait patiently for 'Black Panther 2' that will probably take another couple of years to come, let's just enjoy the next time we'll be seeing King T'Challa in 'Avengers: Infinity War' next month.